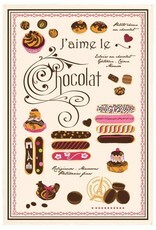 Torchons & Bouchons Tea Towel - Eclairs Au Chocolat - Miam! 19" x 28.5" This beautiful tea towel is colorful, elegant and fun all at the same time! 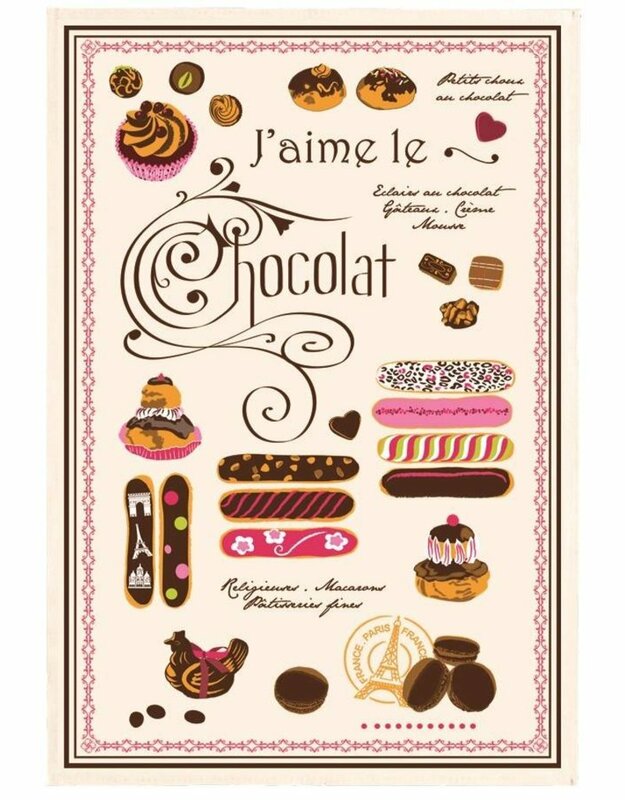 Made from 100% durable cotton and printed with eco-friendly water-based ink, this particular style features an assortment of French pastries, including the ever popular Éclair au Chocolat.